M.A.P. 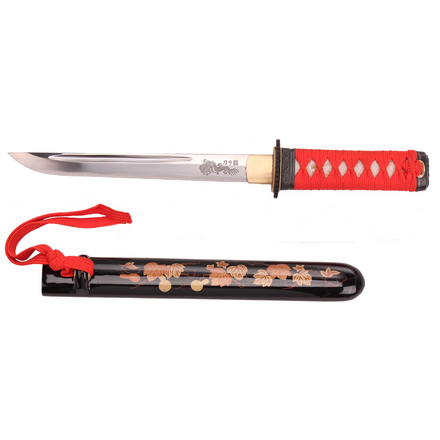 $ 350.00 We are proud to introduce our new Hand Forged 1050 Spring Steel Katana; masterfully hand crafted specifically to be used in “the way of the sword. Each sword blade is hand forged out of 1050 Spring Steel and individually heat treated, through tempered and polished by skilled hands. 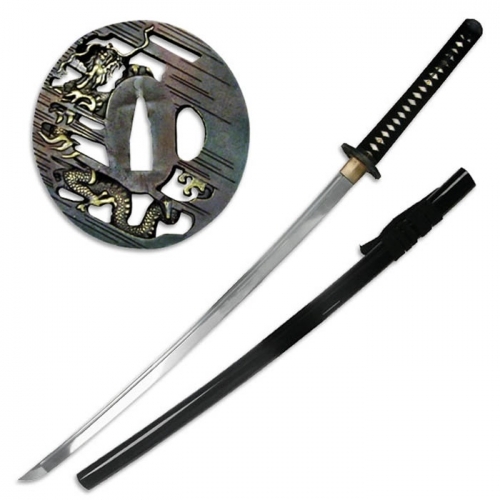 These swords are built for the most advanced swordpractitioner but priced for all to use. 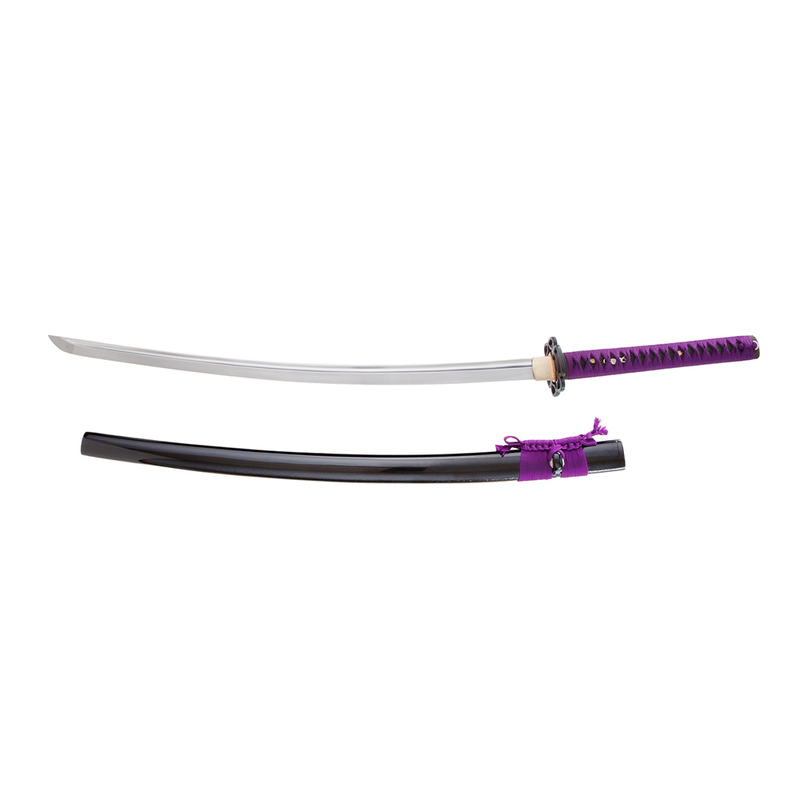 Blade: 28″ Handle: 11⅜” Overall: 40¾” Weight: 1120 g Hardness: HRC 60/40 With these Japanese Swords the factory has used only traditional materials for our Japanese swords’ fittings. The Tsuba (guard), Fuchi (collar), and Kashira (pommel) are expertly made and finely crafted from black iron. The Habaki (blade collar) is hand made out of polished brass and each hilt is covered in black ray skin and tightly wrapped in the traditional “cross over” style with green cord. It takes time to produce swords of this quality and this is why our Imperial Sword Collection is more difficult to acquire. We take great pride in the quality and performance of or swords, we will not compromise this quality and performance.